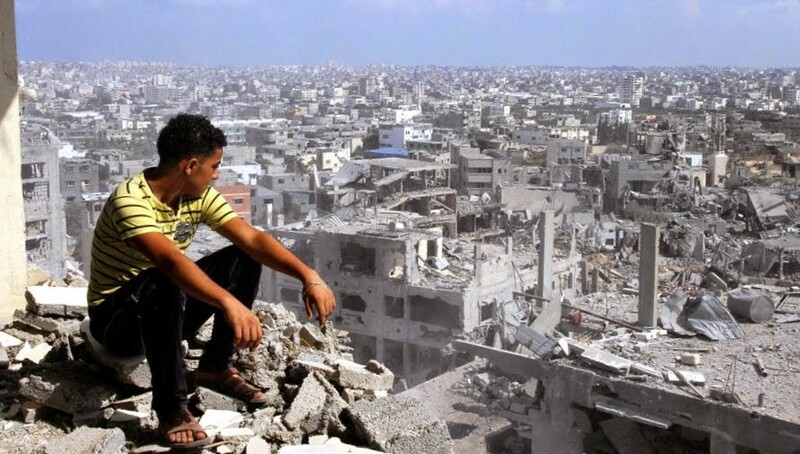 After writing for The Guardian for over a year, my contract was unilaterally terminated because I wrote a piece on Gaza that was beyond the pale. In doing so, The Guardian breached the very editorial freedom the paper was obligated to protect under my contract. I’m speaking out because I believe it is in the public interest to know how a Pulitizer Prize-winning newspaper which styles itself as the world’s leading liberal voice, casually engaged in an act of censorship to shut down coverage of issues that undermined Israel’s publicised rationale for going to war. I joined the Guardian as an environment blogger in April 2013. Prior to this, I had been an author, academic and freelance journalist for over a decade, writing for The Independent, Independent on Sunday, Sydney Morning Herald, The Age, The Scotsman, Foreign Policy, The Atlantic, Quartz, Prospect, New Statesman, Le Monde diplomatique, among others. On 9th July 2014, I posted an article via my Earth Insight blog at The Guardian’s environment website, exposing the role of Palestinian resources, specifically Gaza’s off-shore natural gas reserves, in partly motivating Israel’s invasion of Gaza aka ‘Operation Protective Edge.’ Among the sources I referred to was a policy paper written by incumbent Israeli defence minister Moshe Ya’alon one year before Operation Cast Lead, underscoring that the Palestinians could never be allowed to develop their own energy resources as any revenues would go to supporting Palestinian terrorism. The article now has 68,000 social media shares, and is by far the single most popular article on the Gaza conflict to date. Contrary to the conventional wisdom, Israel has seen control of Gaza’s gas as a major strategic priority over the last decade for three main reasons. Firstly, Israel faces a near-term gas crisis — largely due to the long lead time needed to bring Israel’s considerable domestic gas resources into production; secondly, Netanyahu’s administration cannot stomach any scenario in which a Hamas-run Palestinian administration accesses and develops their own resources; thirdly, Israel wants to use Palestinian gas as a strategic bridge to cement deals with Arab dictatorships whose domestic populations oppose signing deals with Israel. Either way, the biggest obstacle to Israel accessing Gaza’s gas is the Hamas-run administration in the strip, which rejects all previous agreements that Israel had pursued to develop the gas with the British Gas Group and the Palestinian Authority. Since 2006, The Guardian has loudly trumpeted its aim to be the world’s leading liberal voice. For years, the paper has sponsored the annual Index on Censorship’s prestigious Freedom of Expression Award. The paper won the Pulitzer Prize for its reporting on the National Security Agency (NSA). Generally, the newspaper goes out of its way to dress itself up as standing at the forefront of fighting censorship, particularly in the media landscape. This is why its approach to my Gaza gas story is so disturbing. I was shocked, and more than a little baffled. As you can read on my Guardian profile, my remit was to cover “the geopolitics of environmental, energy and economic crises.” That was what I was commissioned to do — indeed, when I had applied in late 2012 to blog for The Guardian, an earlier piece I’d written on the link between Israeli military operations and Gaza’s gas in Le Monde diplomatique was part of my portfolio. In the end, my polite protestations got nowhere. Within the hour, I received an email from a rights manager at The Guardian informing me that they had terminated my contract. The problem is that I had committed no breach of any of my contractual obligations. On the contrary, The Guardian had breached its contractual obligation to me regarding my freedom to determine the contents of my blog, simply because it didn’t like what I wrote. This is censorship. Ironically, a few days later, I was contacted by the editor of The Ecologist — one of the world’s premier environment magazines — who wanted to re-print my Gaza gas story. After publishing an updated version of my Guardian piece, The Ecologist also published my in-depth follow up in response to objections printed in The National Interest (ironically authored by a contractor working for a US oil company invested in offshore gas reserves overlapping the Gaza Marine). Obviously, having been expelled by The Guardian, I could not respond via my blog as I would normally have done. 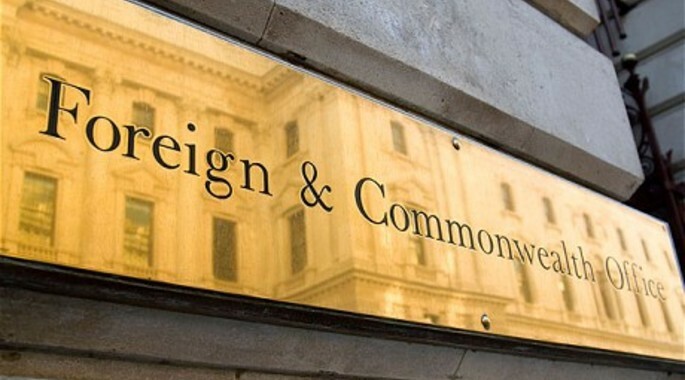 That follow-up drew on a range of public record sources including leading business and financial publications, as well as official British Foreign Office (FCO) documents obtained under Freedom of Information. The latter confirmed that despite massive domestic gas discoveries in Israel’s own territorial waters, the inability to kick-start production due to a host of bureaucratic, technological, logistical and regulatory issues — not to mention real uncertainties in quantities of commercially exploitable resources — meant that Israel could face gas supply challenges as early as next year. Israel’s own gas fields would probably not be brought into production until around 2018-2020. 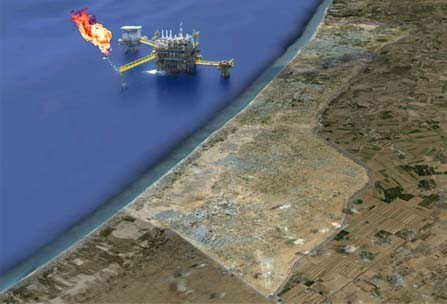 Israeli officials, according to the FCO, saw the 1.4 trillion cubic meters of gas in Gaza’s Marine (along with other potential “additional resources” as yet to be discovered according to the US Energy Information Administration) as a cheap “stop-gap” that might sustain both Israel’s domestic energy needs and its export ambitions until the Tamar and Leviathan fields could actually start producing. By broaching such issues in The Guardian, though, it seems I had crossed some sort of invisible barrier — that this topic was simply off-limits. 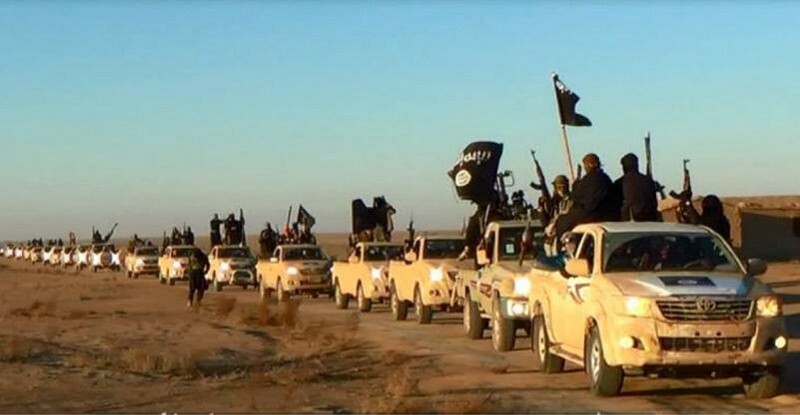 An ‘Islamic State’ (ISIS) convoy of Toyotas. Apparently, ISIS is an environment story. But not Gaza. Hmmmm. Proposed headlines for stories that environment bloggers work on are posted on a shared Google spreadsheet so that editors can keep track of what we’re doing and planning to publish. Adam had seen my proposed headline and requested to see the draft on the 16th June: “… would you mind sending this one by me on preview, please, before publishing? Just conscious it’s very sensitive subject,” he wrote in an email. So an article about ISIS and oil addiction is “fine,” but a piece about Israel, Gaza and conflict over gas resources is not. Really? Are offshore gas resources not part of the environment? 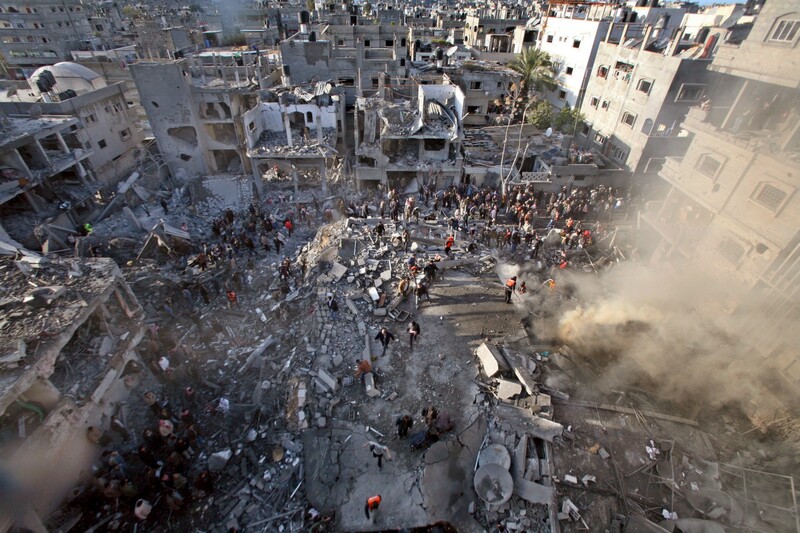 Apparently, for The Guardian, not in Palestine, where Gaza’s environment has been bombed to smithereens by the IDF. Meanwhile, the Israel-Gaza gas saga continues. Just over a week ago, Ha’aretz carried some insightful updates on the strategic value of the whole thing. Quoting Ariel Ezrahi, energy adviser to Quartet Middle East envoy Tony Blair (the Quartet representing the US, UN, EU and Russia), Ha’aretz noted that there was a reason why Jordan — which had recently signed an agreement with Israel to purchase gas from its Leviathan field — had simultaneously announced that it intended to purchase gas from Gaza. As Israel attempts to reposition itself as a major gas exporter to regional regimes like Egypt and Turkey, the biggest challenge is that “it’s very hard for them to sign a gas contract with Israel despite their desperate need,” due to how unpopular such a move would be with their domestic populations. 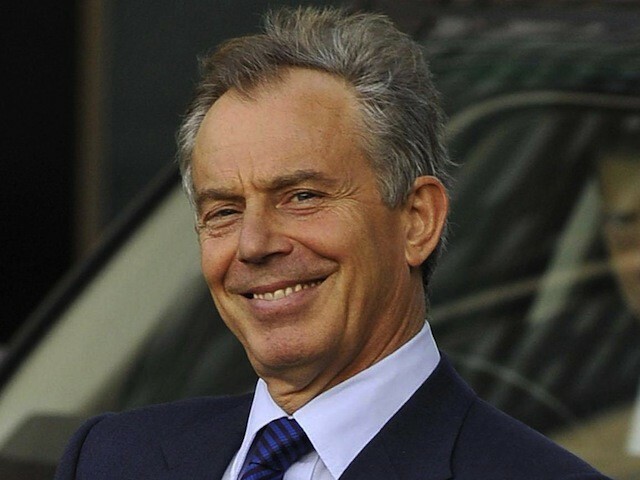 But there is a further challenge when considering the Palestinian dimension, namely Hamas: “I can’t meet with people linked to Hamas,” said Blair’s energy adviser. “It’s a very firm ban dictated by the Quartet. [emphasis added] The Americans don’t enter Gaza either.” So it is not just Israel that has ruled out any gas deal with the Palestinians involving Hamas. So have the US, EU, UN and Russia. 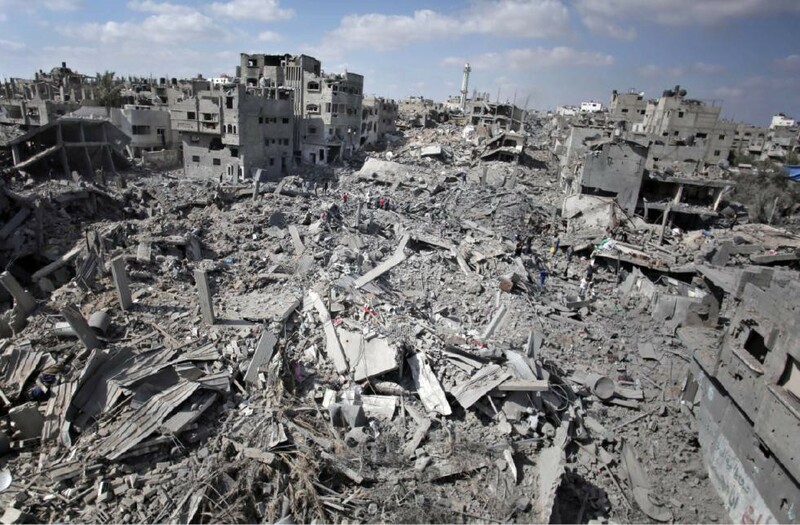 But Israel has no mechanism to eliminate Hamas from the Gaza strip — except, as far as Moshe Ya’alon is concerned, military action to change facts on the ground. Over the 70 odd articles I’d written for The Guardian, not a single piece falls outside the subject matter I had been commissioned to write on: the geopolitics of interconnected environment, energy and economic crises. The conclusion is unavoidable: The Guardian had simply decided that resource conflicts over the Occupied Territories should not receive coverage. It should be noted that before my post, the paper had never before acknowledged a link between IDF military action and Gaza’s gas. Now that I’m gone, I doubt it will ever be covered again. 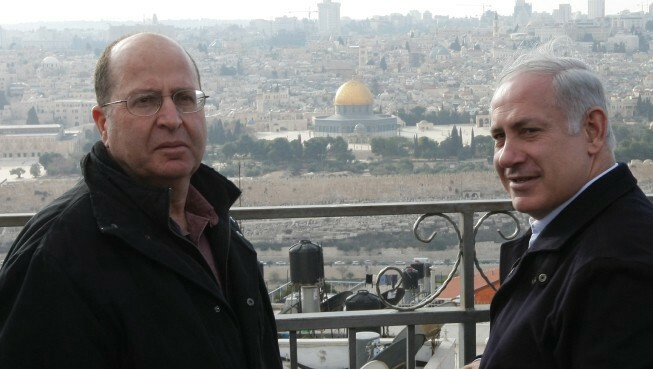 Well, at least Ya’alon, and his boss Netanyahu, will be happy. 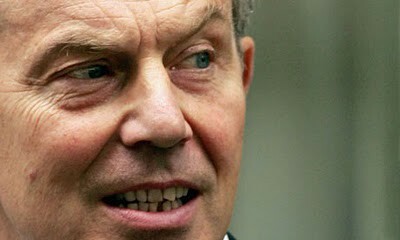 Not to mention Tony Blair. Boy, that winning smile never gets old, does it? When I began speaking in confidence to a number of other journalists inside and outside The Guardian about what had happened to me, they all consistently told me that my experience — although particularly outrageous — was not entirely unprecedented. 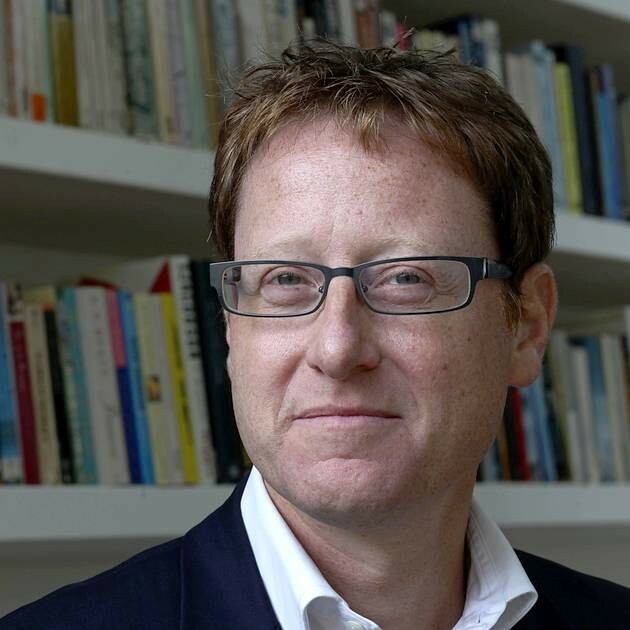 A senior editor of a national British publication who has written frequently for The Guardian’s opinion section, told me that he was aware that all coverage of the Israel-Palestine issue was “tightly controlled” by Jonathan Freedland, the Guardian’s executive editor for opinion. Another journalist told me that a Guardian editor commissioned a story from him discussing the suppression of criticism of Israel in public discourse and media, but that Freedland rejected the story without even reviewing a draft. Several other journalists I spoke to inside and outside The Guardian went so far as to describe Freedland as the newspaper’s unofficial ‘gatekeeper’ on the Middle east conflict, and that he invariably leaned toward a pro-Israel slant. These anecdotes have been publicly corroborated by Jonathan Cook, a former Middle East staff reporter, foreign editor and columnist for The Guardian, who is currently based in Nazareth where he has won several awards for his reporting. A profile of Cook at the progressive Jewish news site Mondoweiss points out that a key turning point in Cook’s career occurred in 2001 when he had just returned from Israel, having conducted an investigation into the murder of 13 non-violent Arab protestors by Israeli police during the second intifada the year before. The police, Cook found, had executed a “shoot-to-kill policy” against unarmed victims — as was eventually confirmed by a government inquiry. But The Guardian suppressed his investigation, and chose not to run it at all. Cook says that while the paper does contain some exemplary reporting and insights, and even goes out of its way to condemn the occupation, there are certain lines that simply cannot be crossed, such as questioning Israel’s capacity to define itself as simultaneously an exclusively Jewish and democratic state, or critiquing aspects of its security doctrine. “The Guardian, like other mainstream media, is heavily invested — both financially and ideologically — in supporting the current global order. 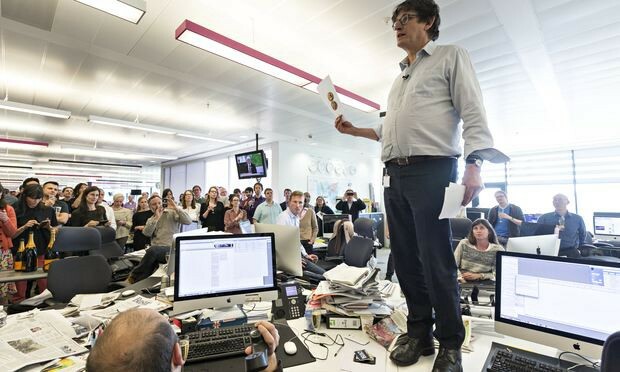 It was once able to exclude and now, in the internet age, must vilify those elements of the left whose ideas risk questioning a system of corporate power and control of which the Guardian is a key institution. However, Freedland’s reading of this piece is incorrect. I am not implying that Freedland was “involved” in the end of my Guardian tenure. I have no clue about that, and to be sure, I did not make any such claim above. My simple point is that my experience of egregious Guardian censorship over the Gaza gas story — which Freedland does not address beyond denying his involvement — has a long and little-known context, suggesting that rather than my experience being a mere bizarre and accidental aberration, it is part of an entrenched, wider culture across the paper of which Freedland himself has allegedly played a key role in fostering. The Guardian, quite rightly, has a reputation for breaking some of the most important news stories of the decade — among them, of course, playing a lead role in releasing Edward Snowden’s revelations about mass surveillance and related violations of civil liberties. Yet hidden in the cracks of this coverage is the fact that while disclosing critical facts, The Guardian has been unable to raise the most fundamental and probing questions about the purpose and direction of mass surveillance, why it has accelerated, what motivates it, and who benefits from it. Questions must therefore be asked as to why a newspaper that sees itself as the global media’s bastion of liberalism, has engaged in such grievous censorship by shutting down coverage of environmental geopolitics — a phenomenon which is increasingly at the heart not just of conflict over the Occupied Territories, but of the chaos of world affairs in the 21st century. If this is the state of The Guardian, undoubtedly one of the better newspapers, then clearly we have a serious problem with the media. Ultimately, mainstream media remains under the undue influence of powerful special interests, whether financial, corporate or ideological. Given the scale of the converging crises we face in terms of climate change, energy volatility, financial crisis, rampant inequality, proliferating species extinctions, insane ocean acidification, food crisis, foreign policy militarism, and the rise of the police-state — and given the bankruptcy of much of the media in illuminating the real causes of these crises and their potential solutions, we need new reliable and accountable sources of news and information. We need new media, and we need it now. As print newspapers go increasingly into decline, the opportunity for new people-powered models of independent digital media is rising exponentially. That’s why I’ve launched a crowdfunder to help support my journalism, and to move toward creating a new investigative journalism collective that operates in the public interest, precisely because it is funded not by corporations or ideologues, but by people. If we can create new journalism platforms that are dependent for their survival on citizens themselves, then it is in the interests of citizens that those platforms will function. Until then, fearless, adversarial investigative journalism will always be in danger of being shut down or compromised. Dr Nafeez Ahmed is an investigative journalist, bestselling author and international security scholar. Formerly of The Guardian, he writes the ‘System Shift’ column for VICE’s Motherboard, and is the winner of a 2015 Project Censored Award for Outstanding Investigative Journalism for his Guardian work. He is the author of A User’s Guide to the Crisis of Civilization: And How to Save It (2010), and the scifi thriller novel ZERO POINT, among other books.